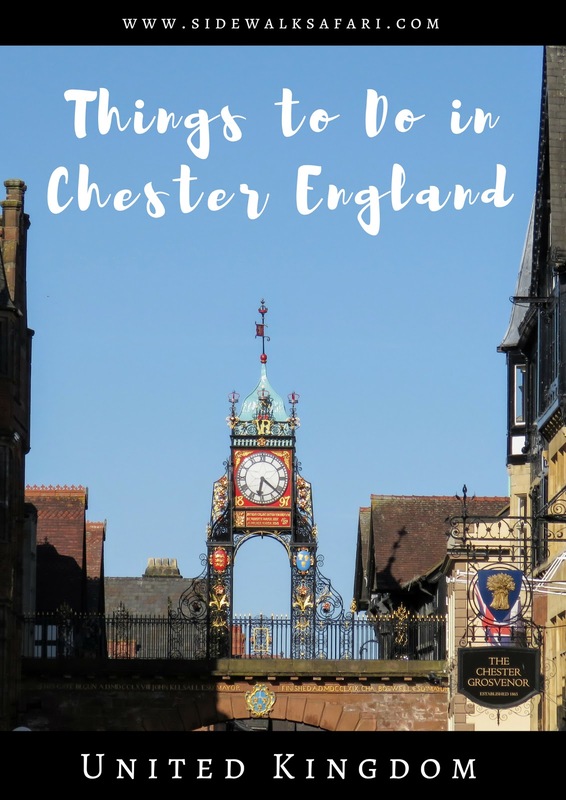 What kinds of things are there to do in Chester England? We aimed to find out on a short two day stay in Chester at the tail end of our trip to North Wales by ferry. 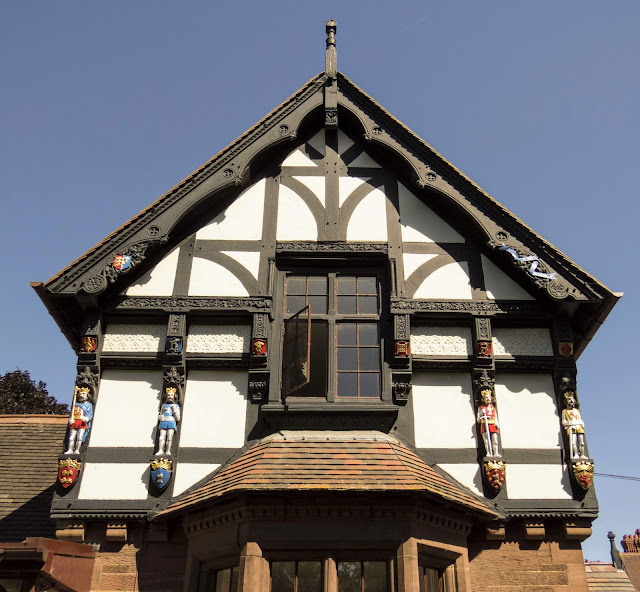 Read on to get a sense of Chester's Medieval character. 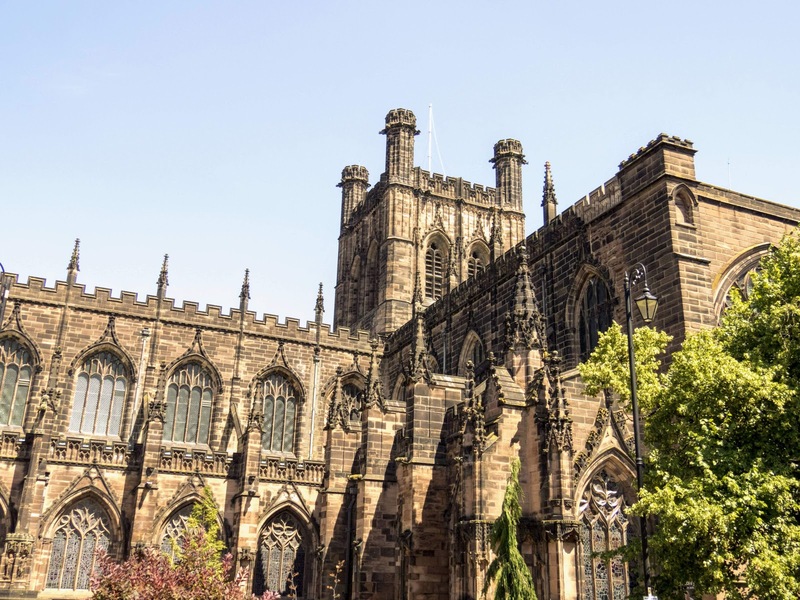 Explore Chester pubs, the Chester Cathedral, and walk the Chester city walls on an ideal city break to the UK. 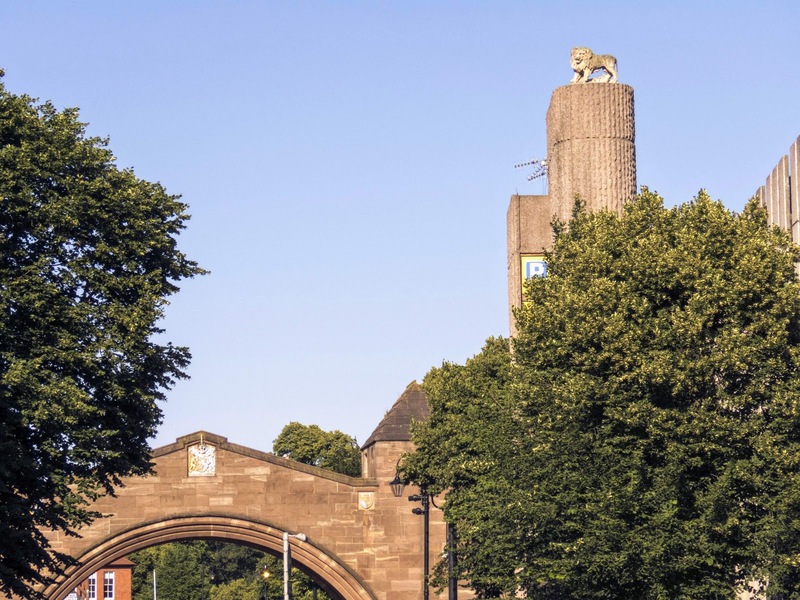 Chester is located about 40 minutes by car (or using the easyBus) from Liverpool Airport so Liverpool is a convenient starting or ending point for your trip. We took the Irish Ferries HSC Jonathan Swift from Dublin to Holyhead and then traveled by train to Chester after spending the weekend in North Wales. Taking the ferry from Ireland to the UK was definitely another handy option for visiting Chester. If you arrive in Chester by train, Grosvenor Park is on the walk to Chester Old Town. Admire the half timbered gatehouse with colorful ornate sculptures on the columns. Breathe in the fresh air with views over the River Dee as you make your way toward Chester Old Town. Just outside the city walls of Chester Old Town, you'll find the ruins of a Roman Amphitheatre. The amphitheatre is the biggest uncovered in Britain so far and the town has essentially built up around it. Take a moment to transport yourself back in time to the 1st century when the amphitheatre in Chester might have been used for a chariot race or gladiator battle. 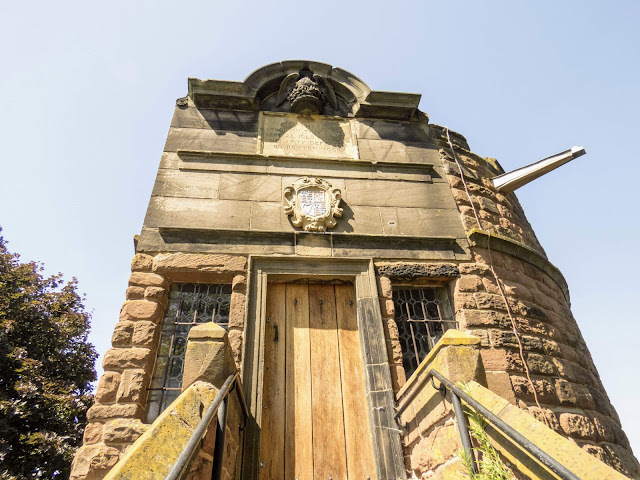 Continue to explore Chester's ancient Roman past with a walk in the Chester Roman Garden. Columns from the Roman-era excavations now line a quiet park that hugs the town wall. As you walk around Chester town, keep your eyes open as you may spot a grotesque gargoyle staring down at you. It's not just the churches either. We spotted this gargoyle on a clock tower along the high street. Chester England is famous for the Chester Rows, a series of Medieval shops along the main thoroughfare in Chester Old Town. Elevated walkways offered a bit of cool shade on the hot summer day that we visited. 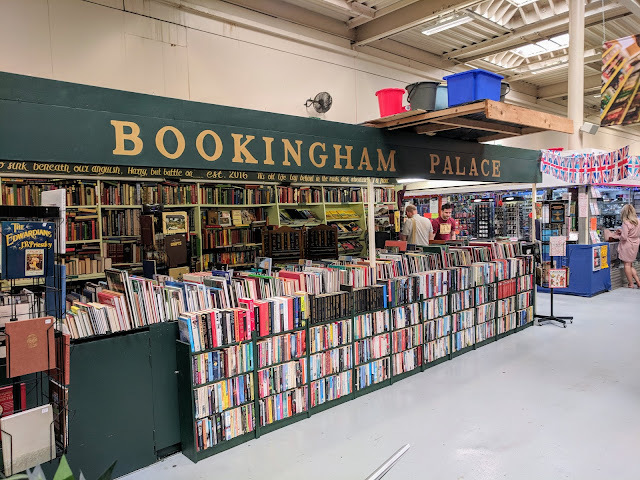 While the half-timbered houses harken back to Medieval times, the shops below are all modern and what you might find on any high street in the UK. 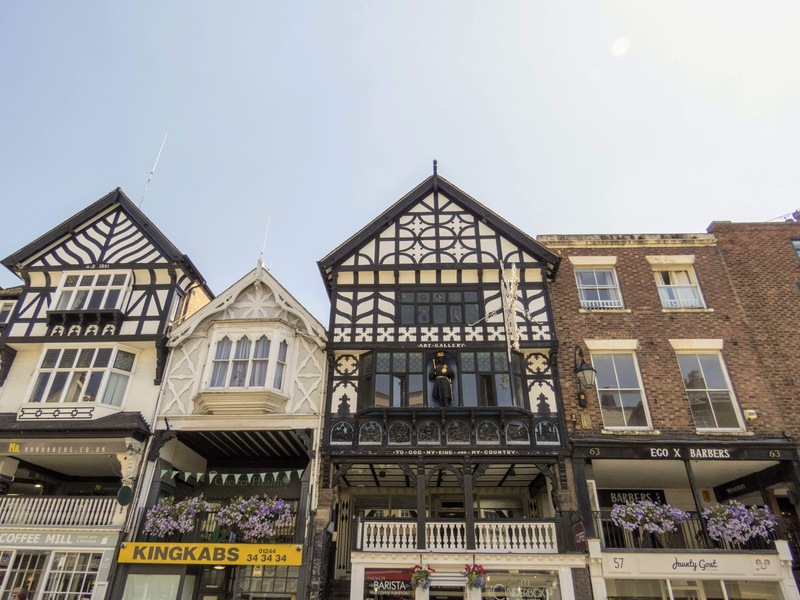 The architecture in general is one of the key reasons to visit Chester. Chester Old Town is not that big and the city is bounded by the Medieval walls so have a wander around and don't worry too much about getting lost. Some buildings in Chester are not original but maintain a consistent look and feel throughout the town. Chester Cathedral is an impressive structure that dominates the town. Chester Cathedral is free to visit but donations are requested at various points throughout the church. Explore the ornately carved wood seats and lavish accents. 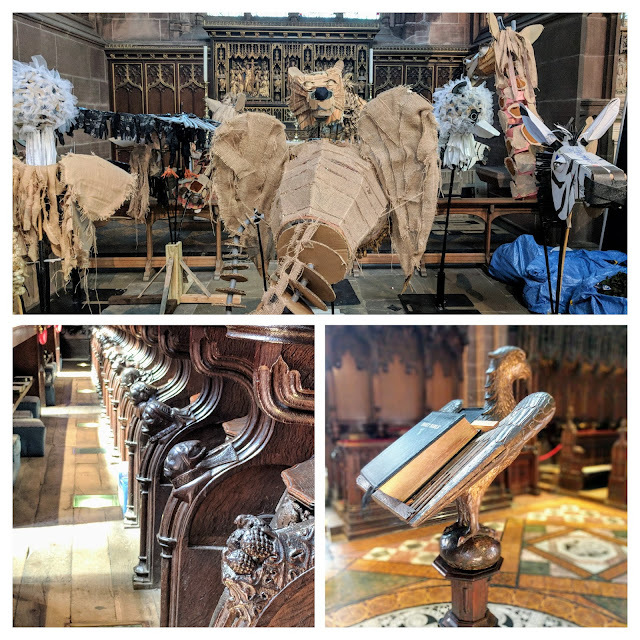 When we visited a series of summer plays was scheduled and we got to see various props staged in a side chapel. Don't miss Chester Cathedral's quiet courtyard. Go outside for a moment of reflection. 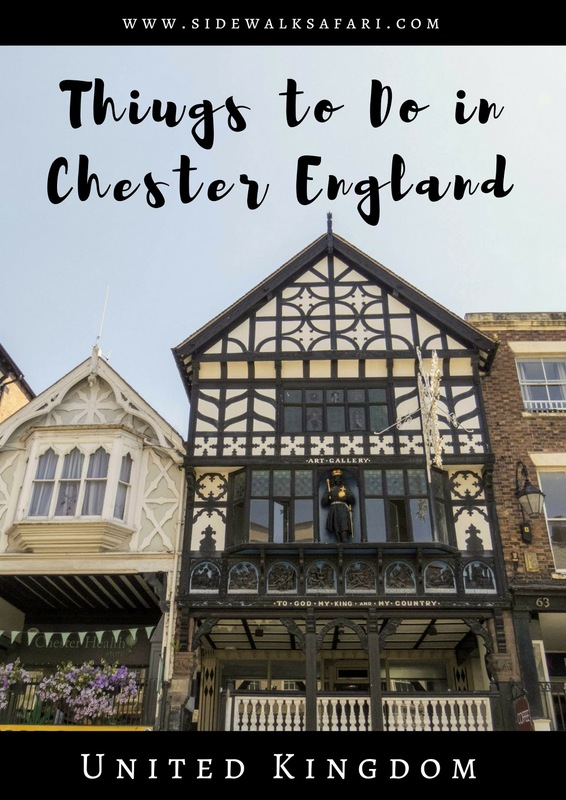 Tucked away at the edge of a modern shopping complex, Chester Market is another fun thing to do on your visit to Chester UK. Explore Bookingham Palace or consider grabbing a small bite to eat at the market. We opted to have lunch in Chester at Music Tap Hall. 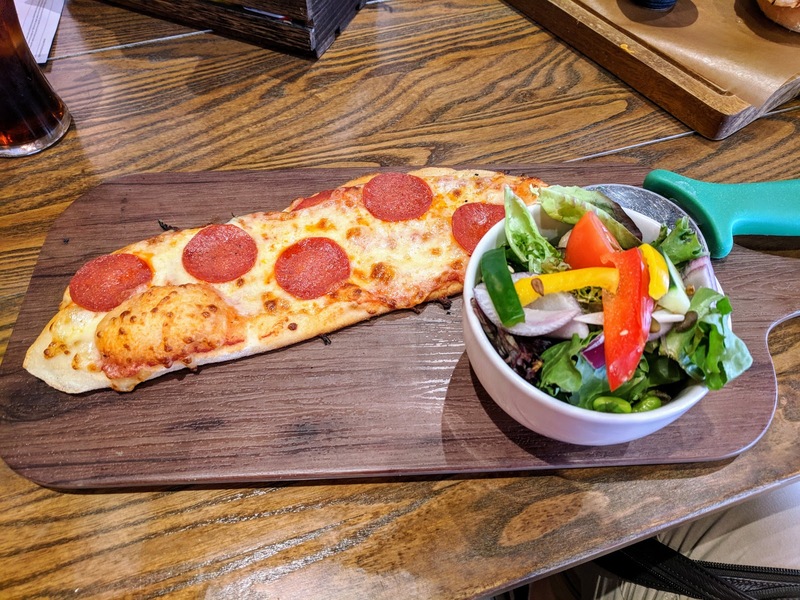 For just 5.50 GBP (or upgrade to 6.50 GBP with a beer), we were treated to pizza, salad, and either a soft drink or beer. Many of the pubs in Chester are damp and dark as you'll see later but Music Tap Hall was light-filled and quirky. Definitely a fun place to stop on a visit to Chester. Chester Town Hall is one of those buildings where it's unclear from the outside if you're allowed to go inside. We peeked our heads into the lobby and were greeted by the receptionist. We asked if Chester Town Hall was open to the public and they ushered us right in. Have a wander around and check out the impressive stained glass and the collection of historic portraits and crests. We saw a glass display case with photos from when the Queen and Meghan Markle visited a couple weeks before our trip to Chester. Another fun thing to do in Chester is to get some exercise by walking the town walls. Climb up at various points around the city and have a wander around from your elevated vantage point. There are two impressive city gates which serve as entrances to Chester Old Town: Eastgate, with its ornate clock, and Newgate. You may also encounter Watergate, Bridgegate and Northgate as you walk the Chester Old Town walls. Chester England is nestled within a bend on the River Dee. Walk along the river and admire the Victorian-era suspension bridge and boat traffic floating past. Where should you eat in Chester England? We went to the Botanist for dinner and were treated to a hanging kebab. The Botanist also features great craft beers and cocktails. Chester features some great Medieval and modern pubs. We happened to be visiting during the Chester Comedy Festival and there was a comedy pub crawl on. We didn't know the locations they planned to visit during the pub crawl aside from the first stop at the Botanist. 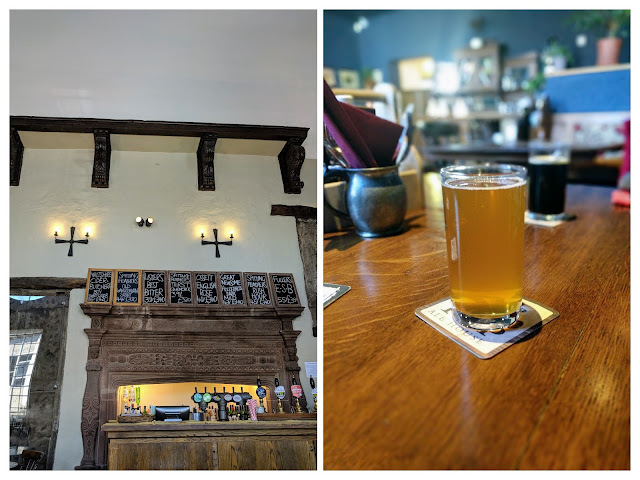 We ended up stopping at The Victoria which features an oak beam more than 700 years old, Craft and Company, and Fiesta Havana. 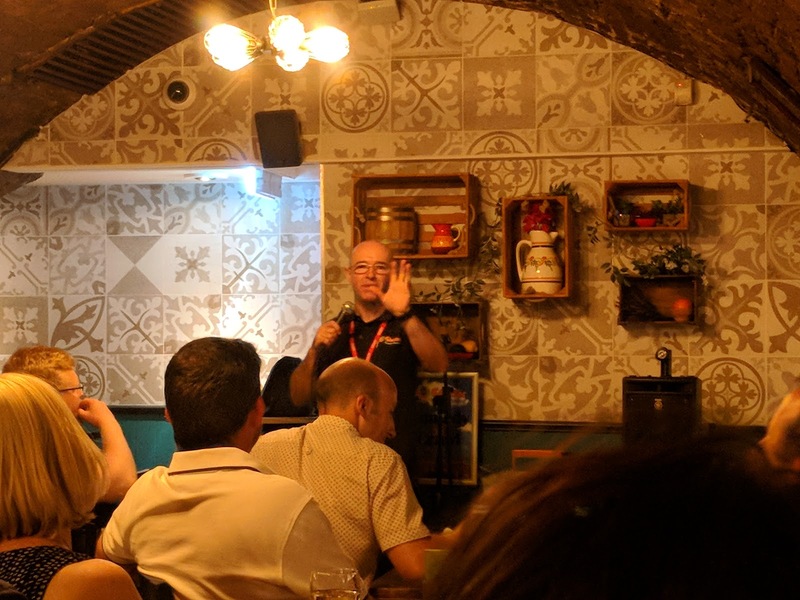 Combining comedy with the pub crawl was the perfect excuse to check out different pubs and bars and experience the local nightlife in Chester. Another great spot to grab something to eat in Chester England is The Brewery Tap. The Brewery Tap is situated in Gamul House, a Jacobean great hall. Again, transport yourself back in time and imagine raising a toast with a pint of ale at a grand gathering in this very hall. Gamul House is rumored to be haunted. 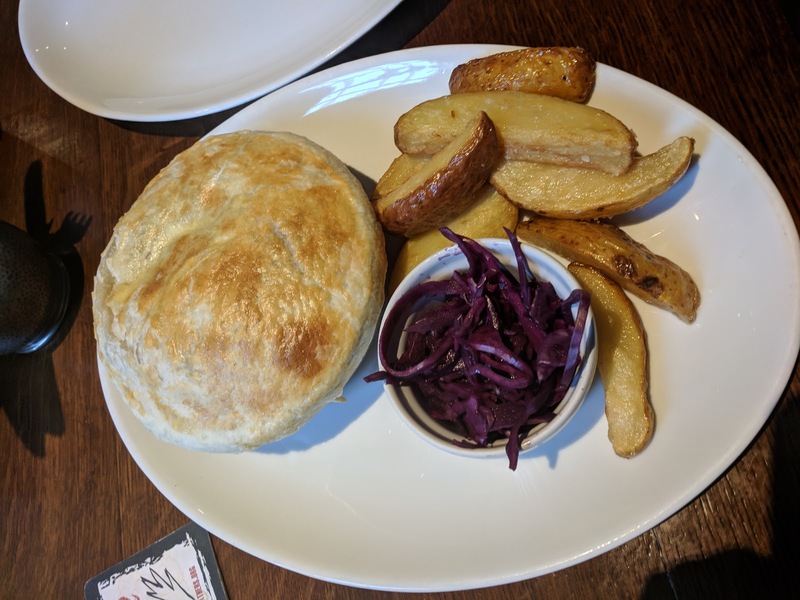 We sipped a pint of craft beer with a comforting chicken pie. It takes about 30 minutes to drive from Chester to Pontcysyllte Aqueduct in North Wales. A canal runs across the top of a vertigo inducing aqueduct which can be traversed on foot or via a canal boat. We crossed the Pontcysyllte Aqueduct both ways; taking a 45 minute canal boat cruise with Jones the Boats followed by a leisurely walk from end to end. It's even possible to hike down a trail to the river below to see just how impressive this structure is. If you don't have a car, it's possible to arrange a car service to take you out to the aqueduct (Chester Taxi Services, 90 GBP for half day in an air-conditioned vehicle). 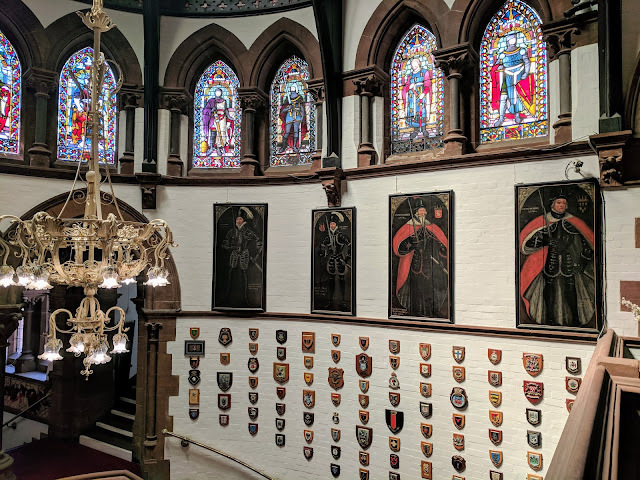 We stayed in Oddfellows Hall on our visit to Chester. The facade looks quaint and historic but inside the rooms are a comfortable size and have air conditioning. Oddfellows has both a restaurant and courtyard bar if you don't feel like straying too far in the evening. Check out this handy map of Chester England to orient yourself to the various things to do discussed in this post. 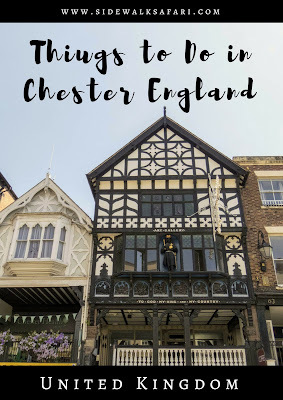 Learn about things to do in Chester England. Visit Chester UK for a weekend. Explore Chester pubs, Chester city walls, and Chester Cathedral.